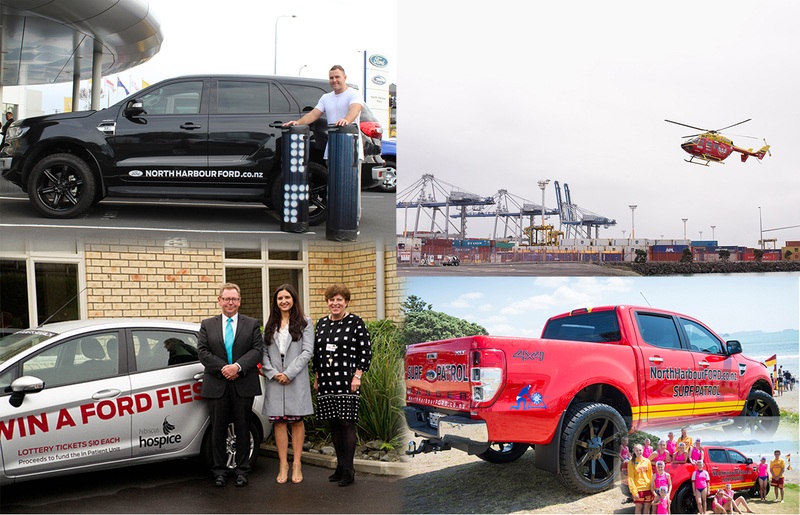 North Harbour Ford is pleased to announce our support for the Auckland Rescue Helicopter Trust. North Harbour Ford have been proud supporters of North Harbour Rugby for many years,and will be continuing that support throughout 2017. For many years North Harbour Ford has been a proud sponsor of Netball North Harbour,and will continue to give our support throughout 2017. Orewa Surf Life Saving Club were the lucky recipients of a new Ford Ranger XLT 4x4 for six months over the summer. In that period, the club was able to use the Ford Ranger to assist with life saving and sport activities. We had a lot of fun dressing up the ute and it definitely caught a lot of eyes - take a look for yourself! North Harbour Ford have been proud sponsors of Hibiscus Hospice over a number of years, supplying a Ford Fiesta to the nurses so they can visit hospice patients at their homes. We are also ongoing supporters of many Hospice events, including the annual Hospice Fundraising Ball and the Hibiscus Coast Home and Garden show - fantastic events aimed at raising money to support the fantastic work the hospice does. James Parsons is an ambassador of North Harbour Ford. 27 year old James Parsons has made the most of his opportunities since breaking into the Super Rugby ranks with the Blues wider training group in 2012. He cemented his position in 2013 as a back-up to Keven Maralamu, getting regular starts in the number two jersey, and captained the Blues against the touring French team that year. A proud North Harbour and Takapuna club man, he made his provincial debut in 2007 and has played more than 70 times for the province, including the training match against the All Blacks earlier this year.